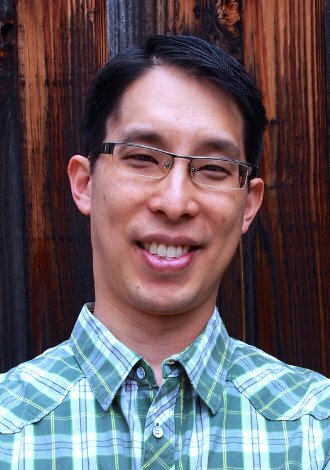 We continue our ongoing new series of posts called “SFF in Conversation” with a chat with Gene Luen Yang, graphic novel artist and writer, author of American Born Chinese, Boxers/Saints, the Avatar: The Last Airbender comics as well as the upcoming The Shadow Hero. Please give it up for Gene, everyone! The Book Smugglers: Thank you so much for taking the time to chat with us – it’s an immense pleasure to have you over. 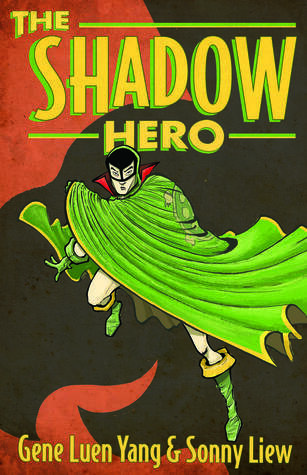 We guess we should start with The Shadow Hero, your upcoming graphic novel (illustrated by Sonny Liew). Your website says that in this book you explore the immigrant experience through the superhero genre. Can you tell us a bit more about your vision for the graphic novel, and how the immigrant experience unfolds? Gene:Thanks for having me! Sonny and I are really, really excited about The Shadow Hero. 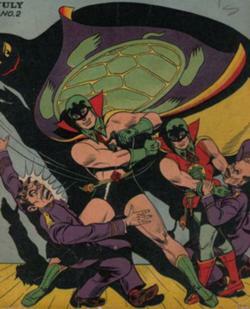 Years ago, when I was doing my daily stroll through the comics blogosphere, I came across an entry on Pappy’s Golden Age Comics Blogzine about a 1940s character called the Green Turtle. The Green Turtle was created by Chu Hing, one of the first Asian Americans working in the American comics industry. Rumor has it that Chu wanted to make his hero Chinese American but his publishers wouldn’t let him. Chu reacted very passive-aggressively. In those original Green Turtle comics, Chu almost never shows us his hero’s face. The Green Turtle usually has his back to us, and when he is turned around, something – a piece of furniture, another character, a shadow – is blocking his face from our view. I was fascinated by the character and the supposed circumstances around his creation. The Green Turtle is in public domain now, so his original adventures are freely and legally available on the Internet. He wasn’t very popular — his series, called Blazing Comics, only lasted five issues. Chu never got around to telling us the Green Turtle’s secret identity or his origin story. He never confirmed that his hero is in fact a Chinese American. I saw a hole there. I asked the tremendously talented Sonny Liew (Malinky Robot from Image Comics, Sense and Sensibility from Marvel) to work with me. Together, we’ve created an origin story for this obscure 1940s character. We firmly establish him as the first Asian American superhero. We also use our story to explore the immigrant experience. Most superheroes juggle two identities – a heroic one and a civilian one. Dual identities are a daily reality for immigrants and their kids. I’m the child of immigrants, and I grew up with two names, a Chinese one at home and another at school. I lived between two cultures. I think I was drawn to superhero comics because I saw a reflection of myself in the double lives of Peter Parker/Spider-man and Bruce Wayne/Batman. The creators of Spider-man, Batman, and pretty much every major hero you can think of were all children of immigrants. I don’t think that’s a coincidence. The Book Smugglers:You are an advocate for the use of comics and graphic novels as educational tools in the classroom – are there any recommendations or resources that you have for educators or readers? How do you approach this educational aspect in your own work? There are many, many wonderful resources these days. 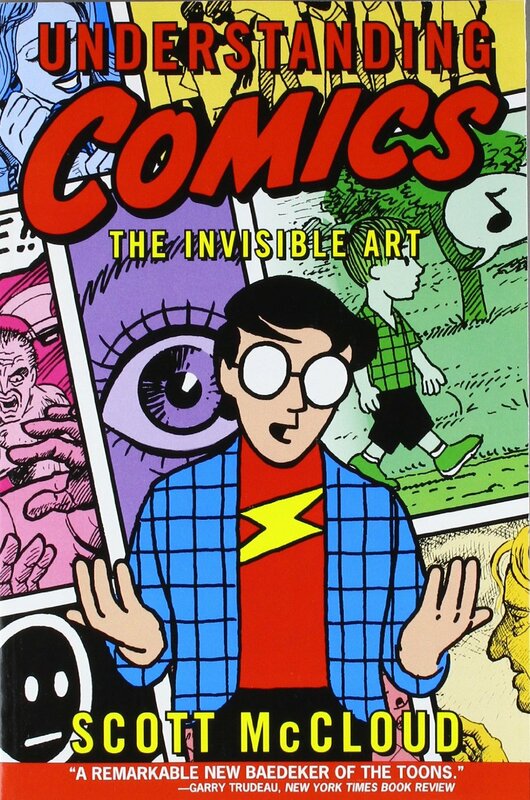 I always tell people to start with Scott McCloud’s seminal Understanding Comics. Scott gives you a language with which to discuss comics, very handy if you’re asking students to write papers on them. If you’re teaching students to make comics, Jessica Abel and Matt Madden’s Drawing Words and Writing Pictures is indispensable. In addition to being world-class cartoonists, Jessica and Matt are college professors. They’ve taught comics for years and years and have distilled their knowledge into a textbook, complete with classroom exercises and homework assignments. For my own stuff, I know that teachers use some of my books in their classrooms. It’s an absolute honor, but I try not to think about that when I’m writing and drawing. I try to focus on telling a story compelling enough to get the reader from the first page to the last. The Book Smugglers:One of the things that strikes us the most about your work is your frequent inclusion of Speculative Fiction elements. 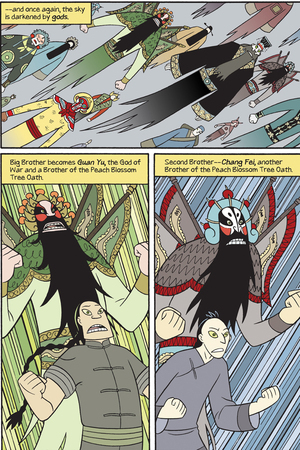 For example, American Born Chinese is a contemporary graphic novel that explores the experience of a young American-born Chinese boy, but also contains supernatural elements. The same can be said about your recent historical graphic novel duology, Boxers and Saints. Do you write these stories with SFF elements in mind from the onset, or do you add these elements as you go along? Gene:The SFF elements just come out naturally. I think it comes from growing up on a steady diet of comic books and cartoons. Maybe I do it because, in comics, magical realism is a way to make internal struggles visible…? Or maybe it’s just because magic monkeys are awesome. A lot of cartoonist do this. Hey Wait by Jason is one of my favorite graphic novels of all time. He sprinkles magical realism throughout to give the story that awkward, nostalgic feeling of a childhood remembered. 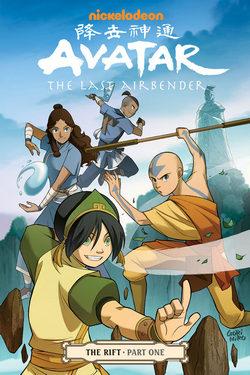 The Book Smugglers: Now, if you’ll allow us a moment to completely geek out: Avatar: The Last Airbender is one of Ana’s favourite TV shows (or stories) of all time and she was delighted when Dark Horse started a comic book continuation of the show. How did you become involved with the project? Were you a fan of Avatar before working on the project? How difficult (or easy) was it to continue someone else’s hugely popular work? Gene:Oh man, I’m a huge fan of Avatar: The Last Airbender! How I got involved in the Avatar comics is a little nutty. I loved the original show and when they announced the live-action movie I was really excited. When they announced the casting, however, I was less than enthused. Avatar is a fantasy world based on real-world Asian cultures. The movie’s casting was just the latest example of Yellowface, of Hollywood’s tendency to take roles that would most logically go to Asian American actors and give them to white actors instead. I wrote and drew a webcomic advocating a boycott of the movie. A ton of people read it, including an editor at Dark Horse Comics. When Dark Horse acquired the license for Avatar from Nickelodeon, that editor called me up and offered me the writing gig. I’ve been working on the comics for about three years now and I’ve had a blast. The best part is that I’ve gotten to work closely with Mike DiMartino and Bryan Konietzko, the creators of Avatar. I’ve learned so much. Gene: Haha. Yeah, Zuko doesn’t show up at all in The Rift. The focus is on Toph’s friendship with Aang. Toph is probably my favorite Avatar character to write, so I’m pretty excited about this book. Appa, too, doesn’t get a huge role in The Rift. But we do show a flashback of the Air Nomads where they’re surrounded by sky bison. The Book Smugglers: Are you yourself an avid reader of comics and graphic novels? What are some of your favourites? Gene:I love comics with a deep, nonsensical love. I wouldn’t be making comics if I didn’t love them. There are much, much easier ways of making money. Top Shelf’s graphic novel March is a wonderful autobiography by Congressman John Lewis, a pivotal figure in the Civil Rights Movement. The art is done by Nate Powell, and it’s beautiful. Perfect for the classroom too. I’m currently in the middle of the biography on Andre the Giant by Box Brown. (I guess I’m on a biography kick.) It’s brilliantly cartooned and the subject is absolutely fascinating. About the author: I began publishing comic books under the name Humble Comics in 1996. In 1997, I got the Xeric Grant for Gordon Yamamoto and the King of the Geeks. (If you’re interested in creating comics yourself, check out the Xeric Foundation. They’re a great organization!) Since then I’ve written and drawn a number of stories in comics. 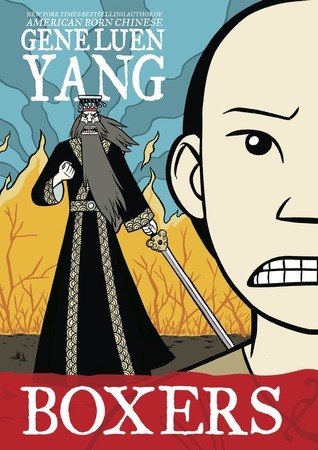 American Born Chinese, released by First Second Books in 2006, became the first graphic novel to be nominated for a National Book Award and the first to win the American Library Association’s Printz Award. It also won an Eisner Award for Best Graphic Album – New. The Eternal Smile, a collaborative project I did with Derek Kirk Kim in 2009, won an Eisner as well. Dark Horse Comics is currently publishing a comics continuation of Nickelodeon’s popular Avatar: The Last Airbender, with art by Gurihiru and story by Mike DiMartino, Bryan Konietzko, and me. In September of 2013, First Second Books released my two-volume graphic novel project Boxers & Saints! I teach at Hamline University as part of their MFA in Writing for Children and Young Adults. I’m always happy to read an interview with Gene Yang. I’m a huge fan of his work and a fan of the Avatar series. I’m so glad to learn about The Shadow Hero and The Rift!